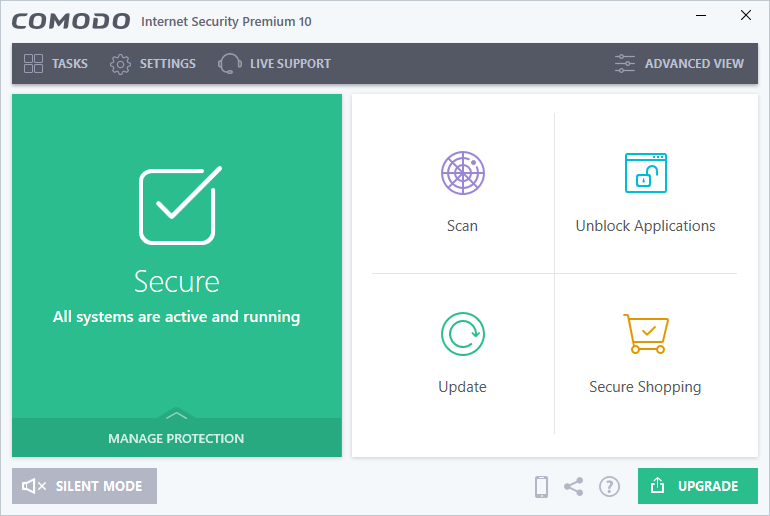 Comodo Internet Security Premium wins TOP product, again!!! Comodo was the only free-for- life product to receive this prestigious award, providing 100% protection against all new and old malware. Perfect score for protection – In a repeat of our February result, Comodo gained another 100% protection rating against zero-day malware attacks, inclusive of web and e-mail threats. Superior Performance – Scoring 5.5 out of 6, Comodo beat industry averages in 3 out of 5 categories and offered extremely fast load-times when launching popular websites on high-end PCs. Outstanding Usability – With another 6/6 rating, Comodo collected a perfect score of zero false-positives in 3 out of 4 categories. And with just one false-positive out of 1,615,677 scanned files, Comodo beat the industry average 10 times over in the remaining category. The results confirm Comodo Internet Security offers unbeatable security for Windows computers with minimal impact on system resources. 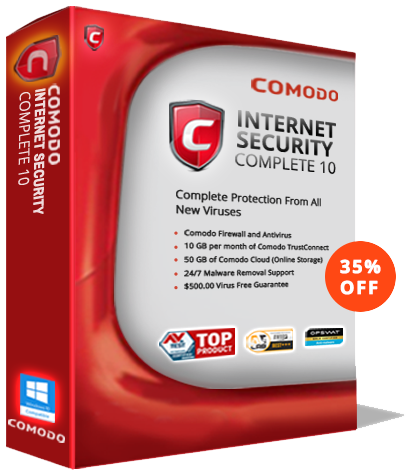 Comodo Internet Security uses a powerful combination of antivirus software, firewall, auto-sandbox, host intrusion prevention and website filtering to immediately protect Windows computers from all known and unknown malware. The software’s auto-sandbox technology locks untrusted files in a secure, virtual environment where they cannot access system resources or user data. This means our users are protected against zero-day threats that the virus industry hasn’t even discovered yet.